Apps come in really handy every day for a variety of purposes, so it should come as no surprise that there are many apps available on both iOS and Android devices for those who like to use electronic cigarettes and vaping devices like those found on this website. 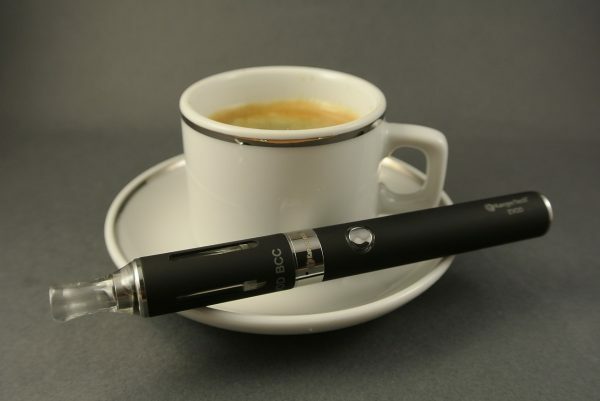 But out of the many apps that are currently available, which ones are really the best for e-cig users? Continue reading to see a list of a few of the top picks that are ready for download. eJuice Me Up is an app for the advanced e-cig user who is even willing to make his or her own delicious and fragrant e-liquids right at home instead of purchasing them in stores or online. The app will help you come up with your own recipes for e-liquids that contain vegetable glycerin, propylene glycol, water, nicotine, and, of course, flavoring. You can determine the appropriate flavoring concentration and nicotine strength, as well as measure everything out by drops, percentage, or volume. Plus, with the convenient multi-flavor option, you can mix more than one flavor together for truly unique results. Then you can save your favorite recipes so you never forget them, as well as share them with your friends. VaporCalc is a high quality app for those who take vaping very seriously. It is updated on a regular basis, so you can consistently expect new features, and this app is designed to assist you with everything from e-liquid mixes to Ohm’s Law, coil wrapping, and more. Put simply, you will be able to use this app to build your very own coils without any guesswork while getting the results you desire on your very first try. Once you have your coils in place, you can then use the e-liquid calculator to create your own recipes, and then you can use the Ohm’s Law calculator to discover the voltage, resistance, wattage, and amperage of the atomizer that you use in order to determine the setup that you should use for your battery for the safest and best results. The QuitNow! app is designed for those who are new to vaping and who are using electronic cigarettes in order to quit smoking tobacco cigarettes. You’ll be able to make a profile, chat with others who are in the process of quitting in order to get valuable support, and access information about how many cigarettes you have been able to avoid, how much money you are saving by no longer smoking, and how long you have gone since your last cigarette. Overall, these features are designed to keep you on track towards maintaining a cigarette-free life. There are plenty of e-cig apps to choose from, whether you prefer using Apple devices or Android products, and whether you need help transitioning from smoking cigarettes to vaping or you want help creating your own e-liquids. So check out what some of the best ones have to offer so that you can take your vaping experience to the next level.